It is an honor and pleasure to welcome everyone around the World to attend the International Conference on Pharmaceutical Formulation & Drug Delivery to be hosted in Edinburgh, Scotland on September 06-08, 2018. The theme sorted for this conference is "Pharmaceutical Formulation and its Impact on Drug Delivery" which will strengthen the needs of every individual participant with upgraded discussion around the theme, developing professional knowledge exchange, insights and collaborations. Through this conference world famous academicians, researchers, scientists, bloggers, chemists etc will join together to keep them engage in this conference. This conference will bring a great impact on every individual participant through Presentations, discussions, workshops, exhibition on "Formulation 2018" in the capital city of Scotland. I hope that you will have a energetic time in this conference. Allied Academics invites all the participants from all over the world to attend our “International Conference on Pharmaceutical Formulation and Drug Delivery” which will be held on 6th-8th September 2018 at Edinburgh, Scotland with a prompt keynote presentation, oral talks, poster presentations, workshops, and exhibitors. Allied Academics is an eminent organization that organizes remarkable conferences Worldwide. It's an excellent platform with its appropriate organized scientific session for the audience with keynote lectures, panel discussions, poster and video presentations on the topic of various Pharmaceutical Formulation, Formulation Development, Preformulation Studies, Drug Delivery Systems, Various Dosage Forms etc and the audience can also share their incline ideas and knowledge about the recent growth and development in the era of Pharmaceutical Formulation. As per pharmaceutics, Formulation is the process in which various chemical substances, active pharmaceutical ingredients (APIs) and excipients are combined to produce a final medical product. 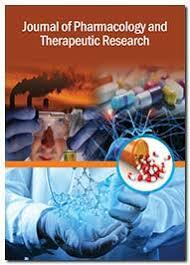 Drug product formulation is at the vital of Particle Sciences. All pharmaceutical formulation contains at least one active molecule, but always make a combination with other ingredients. These are necessary in order to produce the intended dosage form and give the pharmaceutical product the crave quality. The pharmaceutical formulation is an essential component for developing a drug product. Thus Formulation development, manufacturing, marketing, storage and distribution of drug substances including quality control and quality assurance will be discussed in this session. 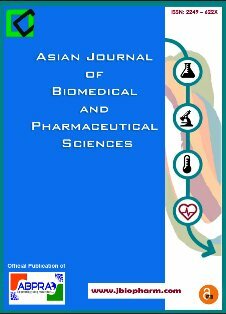 Pharmaceutical Research & Development (R&D) is alluded to the investigative exercises business behaviors to enhance existing pharmaceutical items and techniques or to build up some new items and methodology. Pharmaceutical markets, be that as it may, are to a great degree complex in numerous regards. The profits on private-area R&D are appealing, all things considered, yet they change impressively starting with one medication then onto the next. Purchaser interest for physician recommended drugs is regularly aberrant, intervened by specialists and well being back up plans. This conference will show various developing ideas to accumulate changes from past to up-coming future on Drug Delivery technologies and operations. Drug Delivery system approaches in the formulation, technologies, and systems for delivering any pharmaceutical active ingredient in the body and gives its maximum effectiveness along with a short period of time. By the specialized experts various drug delivery process and their up-coming development in drug design procedure will elaborated. Drug design is the creative process of finding new remedies based on the knowledge of a biological target. Drug Design via computer is an exceptionally viable strategy in present day field. On the other hand drug development is the way toward conveying another pharmaceutical medication to the market once a lead compound has been recognized through the procedure of medication revelation. So this Formulation Conference will carry a brief report about recent availability and future perspectives of drug design and its development in the pharmaceutical field. Novel Drug Formulation Procedure is an inventive medication advancement strategy which centers to utilize the novel philosophies created by pharmaceutical industry for a particular deliberate use in pharmaceutical Research and development. Novel pacify method with interesting instrument offers a truly necessary treatment alternative to enhance the condition. Pharmaceutical nanotechnology provides a perception of the study of synthesis, characterization and diagnostic application of materials at its nano-size. Nanotechnology in medicine involves applications of nanoparticles currently under development, as well as longer range research that involves the use of manufactured nano-robots to make repairs at the cellular level. Nanoparticles are being developed as drug-delivery vehicles, contrast agents, and diagnostic devices, and some are now being studied in clinical trials. Biopharmaceutics is a major branch in pharmaceutical sciences which deals with the study of physiochemical and physiological factors that influence the liberation and absorption of drugs from different dosage forms after its administration. The plasma drug concentration, onset of action and duration of response of a drug product depends upon its Bioavailability, which is defined as the rate and extent (amount) of drug absorption. Drug research is a specific process toward the development of new therapeutic agents in this era to meet the current medical needs. Bioequivalence is a term in pharmacokinetics used to evaluate the normal in vivo organic identicalness of two restrictive arrangements of a medication. The significance of bioequivalence is expanding additionally because of the vast development of the generation and utilization of nonspecific items. The development of pharmaceuticals brought a revolution in human health. A large number of methods are involved in pharmaceutical analysis for identification, determination, quantification, purification and validation of any substance.Pharmaceutical formulations may enlarge impurities at various stages of their development, transportation and storage which makes the formulations unsafe to be administered thus they must be detected and quantified, for this reason, analytical instrumentation and methods play a vital role. Nowadays the developed analytical methods are used to enhance the manufacturing process and to facilitate any product’s quality. So this session will carry a brief idea about advanced drug development and improved analytical methods in pharmaceutical manufacturing. Drug administration is a way of administering a drug to a person by different methods. Routes of drug administration can be by oral, parenteral, and many more. Challenges for drug administration to a patient should be followed by the particular technicians such as printed visible graduation lines are equally distributed in a given syringe, parenteral drugs are supplied in bags, syringes, vials in hospitals tend to minimize medication errors. To overcome these challenges there are many new opportunities which will take part in the progress of drug administration. This session will include the advancement in drug delivery technology by enhancing the bioavailability of the drug product which depends upon the route of administration (oral, injection/infusion, transdermal, intradermal, etc), solubility, absorption and the drugs physicochemical properties. Upgrading the drug delivery technology of any pharmaceutical plan can expand its business achievement. Novel Drug Delivery System (NDDS) alludes to the methodologies, plans, advancements, and frameworks for transporting an active pharmaceutical molecule in the body as expected to give its appropriate therapeutic effects. NDDS is a framework for the conveyance of medication other than ordinary medication conveyance framework. The importance of the NDDS is to deliver an optimum dose, at the right location with lower chances of possible side effects within an appropriate time. The wearable drug delivery devices are intended to deliver a particular drug substance in the body within a proper time to produce its maximum therapeutic effectiveness.The first “wearable” drug delivery device was developed in the early 1960s, a backpack which delivered insulin to the wearer. Smaller, more conveniently wearable, syringe-drivers were developed over the following decades for delivery of insulin. These wearable devices are currently all around known as insulin pumps and the most recent forms are stuck directly onto the skin and controlled remotely. Walking syringe drivers and bladder pumps are additionally utilized for chemotherapy and absence of pain. Transdermal drug delivery system is a process where the active ingredients are delivered across the skin through blood circulation for systemic distribution. Transdermal patches are used for medicine delivery. Intradermal Drug Delivery is a process in which a drug substance is placed into the dermis layer, just below the epidermis layer. This route has the longest absorption time as compared to the subcutaneous and intramuscular route. The Parenteral route of administration is the presentation of nourishment, a prescription, or other substance into the body other than the mouth, especially via infusion or implantation especially for those drugs, prescribed to unconscious patients. Drug delivery through parenteral route is the most common and efficient for transporting any active pharmaceutical substances with poor-bioavailability and with a narrow therapeutic index. Future upgrade and novel approaches on this route of administration will be discussed. This session will focus on medical devices designed for drug delivery through the pulmonary and nasal routes. Routes which are interest for local delivery, as in asthma, but also for rapid delivery of drugs to the system circulation and direct delivery to the central nervous system. 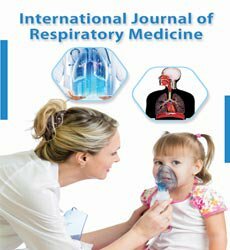 Devices that account for specific anatomical and physiological features of the intranasal and pulmonary routes will be highlighted. 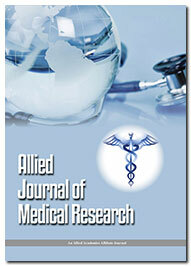 Medical devices for drug delivery vary according to their intended use and indications. Examples range from simple devices such as tongue depressors, medical thermometers, and disposable gloves to advanced devices such as computers which assist in the conduct of medical testing, implants, and prostheses. Drug delivery devices are specialized tools for the delivery of a drug molecule or therapeutic agent via a specific route of administration. Such devices are used as part of one or more medical treatments. The ethics involved within the pharmaceutical sales is built from the organizational ethics, which involves framework consistency, responsibility and culture Organizational ethics are used when developing the marketing and sales strategy to both the public and the healthcare profession of the strategy. A pharmaceutical Ethics and sales representative is the key part of the offers of all medications. Regulatory Affairs Department is the backbone of Pharmaceutical Industry. It is the income generator for Pharmaceutical Industry. The Regulatory Affairs division is a critical piece of the pharmaceutical organizations. Over 15 years traverse is required to create and dispatch another pharmaceutical item in the market. An entrepreneur is an intruder, an applicant and an operator who creates something new as an initiative, either for a business or a company. They are the ultimate responsible for the future of its progress, which can be a company, an activity, or any other venture. Entrepreneurs are the one who has the highest stakes at the progress of any particular project. This meet is expected to make and encourage the most upgraded and reasonable conference put for appealing individuals in helpful talks, assessment and execution of promising work thoughts. Entrepreneurs and Investors are gathered to achieve a shared objective through verbal association, for example, sharing data or achieving consistence. For pharmaceutical entrepreneurs, this would be a favourable place to find out appropriate investors and partners to begin or expand their business. Various Pharmaceutical Industry has modified themselves in the formulation and drug delivery technology to open up new eras of opportunity in the field of Pharmaceutical Formulation, in the same time we have seen advances of several new molecules from Research & Development, which has redirected the channel of many major pharmaceutical companies. In the year of 2014, the Global investments on medicines reached $1 trillion thresholds. In 2017 it was expected that the growth in global spending on medicines increased 2.6% to $965 billion in the year of 2012 and is about to reach 3-6% of %CAGR over the next five years. Pharmaceutical market growth in Germany, France, Italy, UK and Spain expected 3% of %CAGR during 2013-2017 compared to 2.4% for 2008-2012. Pharmaceutical Growth in Brazil, Russia, and India will Show a %CAGR of 10-13% for the period of 2013-2017 & reach between $90 billion by 2017. As per global report %CAGR for the Pharmaceutical Industry grown 6.3% of %CAGR through 2022, up from 5% of %CAGR that it was predicted last year during 2014-2020. The overall $1.12 trillion market in 2022 will rise at a faster rate in the timing of 2016-2020. Prescription sales precluding generics will rise 4.4% this year and will reach $1.006 trillion in 2022. Generics sales will increase from $73 billion in 2015 to $115 billion in 2022.
biopharmaceutical research, and technological advancements in labeling and serializations solutions. The global manufacturing market is expected to reach USD 650.4 Million in the year of 2022 from USD 348.5 Million in 2017, at a CAGR of 13.3%. The major conveyor for the market include the advantages of continuous manufacturing in pharmaceutical processes such as cost-effectiveness and upgraded efficiency of manufacturing and support from various regulatory authorities for the implementation of uninterrupted manufacturing. 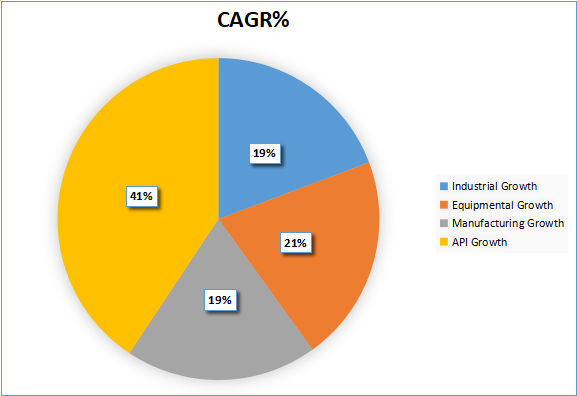 As per the global market for Active Pharmaceutical Ingredients (API) is supposed to reach USD 213.97 Billion in the year of 2021, it is growing at a %CAGR of 6.3% during the period of 2016-2021. The active pharmaceutical ingredients market is subdivided on the basis of the type that is a type of manufacturer, type of synthesis, type of drug product, therapeutic effectiveness, and its division. During the period of 2008-2015, the %CAGR of global R&D invested 1.7%; in the period of 2016-2022, the rate will grow at 2.8%. 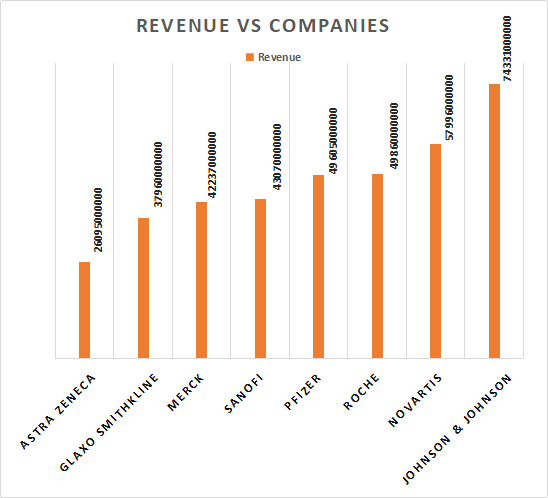 Top spenders in 2015 were Roche and Novartis ($8.5 billion each in 2015), Pfizer ($7.7 billion), J&J ($6.8 billion), Merck ($6.6 billion), and Sanofi and AstraZeneca ($5.6 billion each). However, in the year of 2022, J&J will overtake Pfizer, and Sanofi will overtake Merck. Johnson & Johnson. Revenue per Year: $74.331 billion. Novartis. Revenue per Year: $57.996 billion. Roche. Revenue per Year: $49.86 billion. Pfizer. Revenue per Year: $49.605 billion. Sanofi. Revenue per Year: $43.07 billion. Merck. Revenue per Year: $42.237 billion. GlaxoSmithKline. Revenue per Year: $37.96 billion. AstraZeneca. Revenue per Year: $26.095 billion. Edinburgh is the capital city of Scotland lies at the heart of the Edinburgh & South East Scotland City region. It is the second largest financial center in the United Kingdom, and its world famous landscapes, peaceful weather, and cultural attraction have made it UK's second most popular tourist destination and also for visiting and hosting any events or conferences. Edinburgh Airport is Scotland's busiest and biggest airport which serves a good connection around the globe. Most visited attraction in the UK were all in Edinburgh like The Scottish Parliament, The Queen's Gallery, Holyrood Palace, The Edinburgh Castle and many more. For this reason, Edinburgh called the one of the most popular conference city in the UK. 1. To meet people and organizations approach these same key issues. 2. To assemble people with whom you've established a relationship on social media. 3. To learn about the job, internship, project and other work-based possibilities under Pharmaceutical Formulation. 4. To learn about companionship and grant opportunities relevant to your area(s) of interest. 5. To gain insight into the experiences of others who face challenges similar to yours. 6. To learn about publications and other resources relevant to your area(s) of interest. 7. To gain a brief knowledge about your interest and also possibilities to share your innovative ideas. All fully paid registrations are transferable to other persons from the same organization if registered person is unable to attend the event. Transfers must be made by the registered person in writing to formulation@alliedsummit.org. Details must be included the full name of replacement person, their title, contact phone number and email address. All other registration details will be assigned to the new person unless otherwise specified.